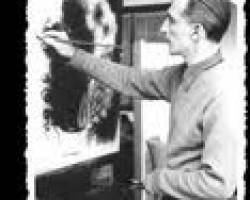 He painted his last work, the mural “Tuttomondo (The Whole World),” on an exterior wall of Convent of the Church of Sant’Antonio in Pisa, Italy in 1989. 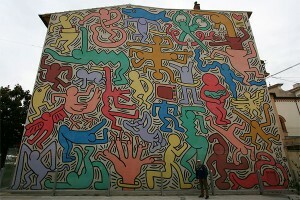 This is a huge mural measuring 1,938 square feet and features Haring’s signature outlined figures of humans and animals. The work’s theme is peace and harmony in the world and features 30 human figures. Each of the figures represents a different aspect of peace. In this work, the figure of a woman holding a baby represents maternity, while the iconic radiant baby is a depiction of purity and all that is positive. There are angels depicted throughout the mural accentuating the theme of peace and harmony.